Google launched their Nexus One data phone on January 5th, 2010. Since the moment Google put the Nexus One on the market for sale, there has been nothing but problems with the device for customers. Most of the Nexus One issues, initially anyway, were associated with not keeping a 3G connection, and other software and hardware issues. Today, Google presented a new issue they are having because of the Nexus One, and this time it’s with the actual purchase transaction with the customer. It’s being reported that Google is starting to issue refunds to Nexus One owners who have overpaid the taxes associated with their purchase. I received an email this morning, informing me that I had been overcharged on the tax on my Nexus One. As such, Google is giving me a refund. It isn’t just me either. 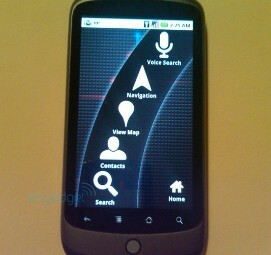 It seems that everyone who purchased a Nexus One at or around launch is being notified. Once Google sends you the email, you’ll have to verify the card you want to receive the refund on by signing into your Google Checkout account and choosing to view the order. If the card you originally used is no longer valid, you’ll be able to pick another. Google is also willing to mail you a check for the amount of the refund. This is just another problem that Google is finding themselves plagued with over their Nexus One phone. Google would have been better off just leaving themselves out of the physical mobile phone market and sticking to what they know best – building a platform (Google Android OS) upon which all other mobile devices can run and be developed.